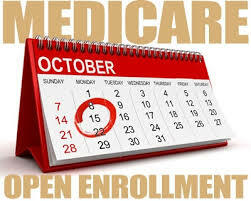 01 OctOpen Enrollment Medicare Begins October 15th! Be sure to Mark Your Calendar for the Medicare Open Enrollment Period. October 15th through December 7th. This is the time that Medicare users can review and make changes to their Medicare coverage. This enrollment period begins October 15. During this time you will want to review your current Medicare & Health Plan Coverage. Be sure to contact our office at (641) 856-3375 and let’s review your plan before time runs out. Open Enrollment Ends December 7th. Plans Begin January 1.